Team Members – Wild Branch Solutions, Inc.
Our highly qualified staff maintain numerous credentials including Apple, Microsoft, JAMF and Education certifications. Jeff founded Wild Branch Solutions in 1993, seeing a need to help local Vermont schools implement and integrate emerging technologies into their classrooms. 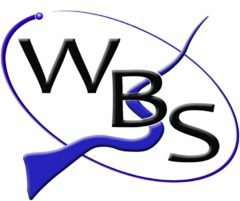 From there, WBS grew from supporting one school to overseeing 30 sites, with twelve employees currently meeting their unique needs. While Jeff still enjoys providing direct user support, he now primarily focuses on assisting schools with developing a vision for educational technology through planning, implementation, integration and transformation. Jeff came to Wild Branch in the Spring of 1998 after graduating from Notre Dame College. His primary role is hardware/software support, classroom integration, and technology professional development, but he also assists with grant writing and technology planning. Jeff is a certified Vermont Language Arts teacher and, in his spare time, likes to spend time with his wife and two kids. Originally hailing from Dallas and East Texas, Darla joined Wild Branch Solutions in Fall of 2002, joining the team to provide server and network management. Some of her areas of expertise include firewall and anti-virus/spyware control, email administration and LAN/WAN design. Darla holds several Microsoft and Brainbench certifications, as well as being named to the Cambridge Who’s Who Among Executives for two years and serving as a member of the National Association of Professional Women. Geof has worked with computers since 1983, including organizing the first Vermont Machintosh Jamboree, a three-year event that brought educators from five states and Canada together to learn more about using computers as educational tools. Geof came to WBS in February 2004 and currently focuses on hardware/software support and classroom integration. Geof, a 1979 graduate of Ohio State University, also brings with him an eclectic background, having been everything from a dairy farmer to a military policeman to a forest products manager during his career. Perry joined Wild Branch Solutions in August 2005, becoming the company’s resident expert in PowerSchool and information systems management. 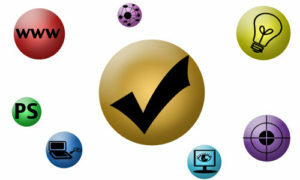 She also assists in professional development projects and end-user support. Perry has a strong education background, having worked four years at Peoples Academy and Morrisville and serving on the Hyde Park Elementary school board. Chris started working for Wild Branch Solutions, Inc. in the fall of 2011. He has provided technical support in several schools and has worked in after school and summer programs helping students learn to use and apply technology. He enjoys running, hiking, camping, geocaching, gardening, 3D design and printing. © 2018 Wild Branch Solutions, Inc.